Ultra Street Fighter II continues to give up its secrets, with details regarding its gallery and colour edit modes joining the news of a first-person, motion-controlled section known as Way of the Hado. 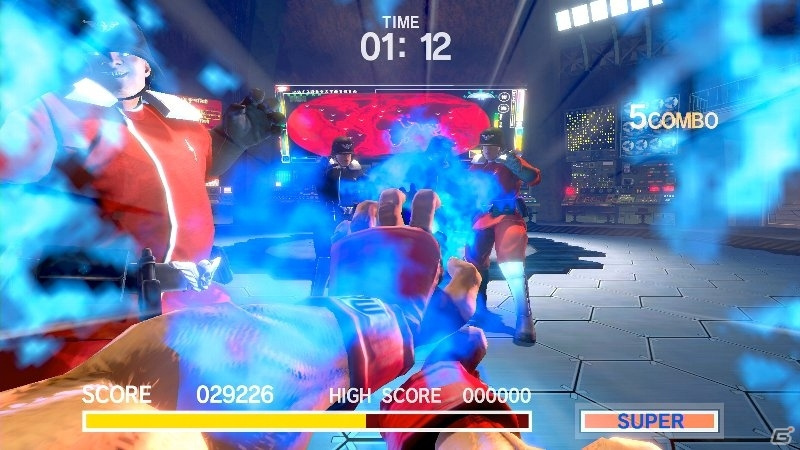 The first-person mode sees you fighting against waves of Shadaloo thugs, using certain motions to defeat them. Success earns you experience points which can be used to boost your health, attack, speed, defense, "guts" and luck. We posted footage of this mode a while back. Gamer also goes into detail about the bonus gallery mode, which includes over 1400 official illustrations presented in super-crisp, 250dpi resolution. You'll be able to zoom in on these images to have a good look. We also have the colour edit mode, which permits you to tinker with the base colours for each fighter, allowing for some truly nightmarish combinations. You can use your custom colour combination in all game modes, even when playing online. 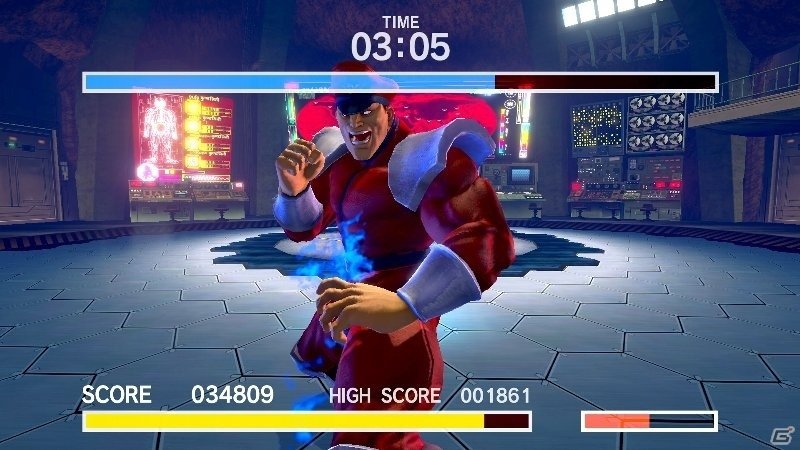 Are you excited about getting your hands on this game now you know that you can play as an ill-looking Ryu? Let us know with a comment. Seems like a desperate attempt to come up with new ideas. edit - Hieveryone why just type 'ok'. So you can edit later. You want to be first. That's kind of lame. That's a cool feature, Its still to expensive tho. Interesting. I think I'll change the color of Ryu's clothes to orange. 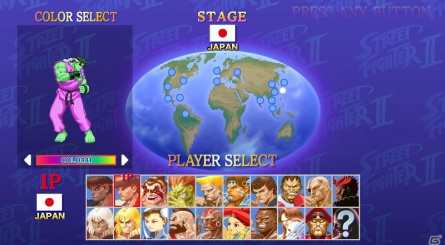 Next fighter will be Orange E. Honda. 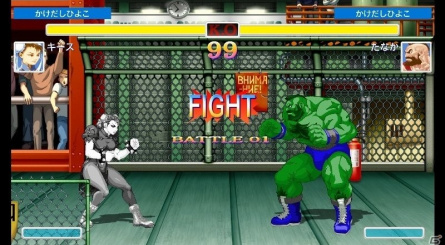 When I was a kid there was a street fighter 2 arcade where you had to stand in a circle, step forward to walk forward, and back to block, duck to duck, punch and kick to punch and kick. This first person mode makes me think of that. Absolutely love that this game exists. I still like this fighter over all of them (maybe it's my age). Price is way too high since I purchased SF2 and SSF2 on the SNES and then purchased SSF2HD for PS3.. not to mention SF3/SF4 on PS4 — both for way less. 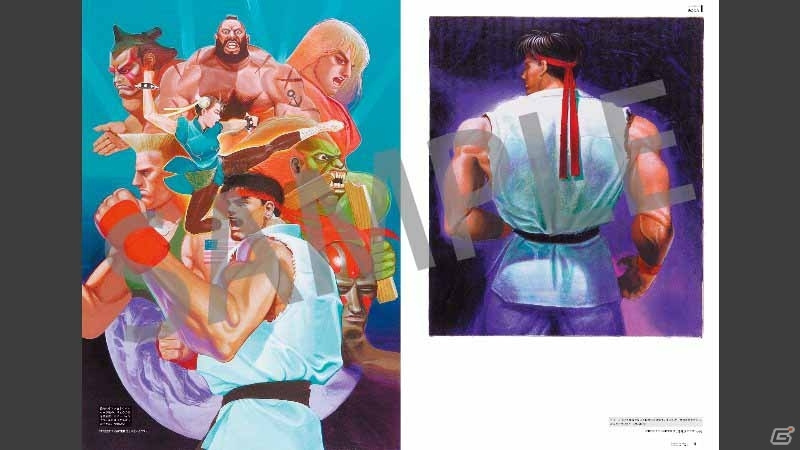 At this point, repacking and selling Street Fighter II requires added content, not added price. The color edit feature and a separate mode with a character with status you build up remind me of Guilty Gear Isuka. People didn't like Guilty Gear Isuka. Hmm. The color edit reminds of CvsSnk. Cool! Haha if the "first person" mode didn't justify paying 40 dollars for a 15 dollars PSN game, color swaps will! @DragonEleven They need to make Ken as The Thing now. What's the price of this on the switch? Will it get a physical Euro release? Yeah, no, that totally legitimizes the price hike in relation to the PS3 version. 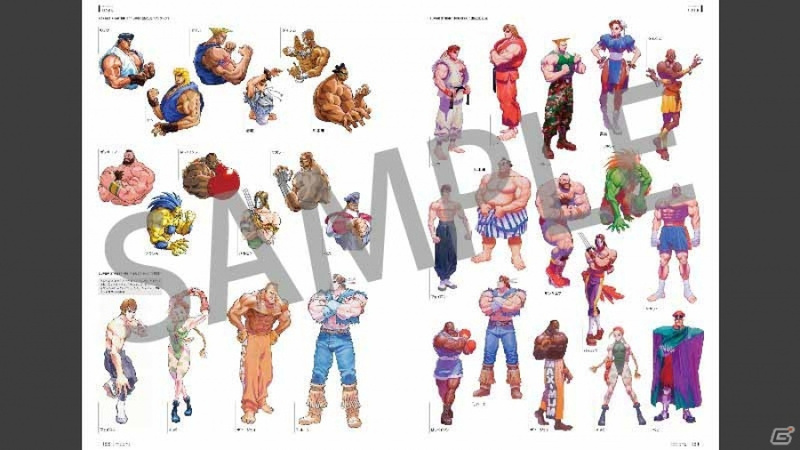 It's only natural that the colors of the Gwak show up in SFII. 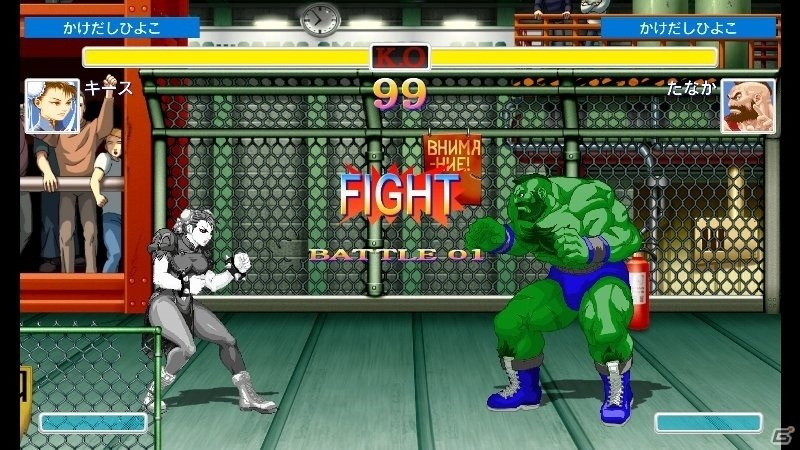 Heh, I'm guessing Street fighter 3rd strike Color Packs Xbox owners used to pay for will make up the difference in price. But seriously, the Smash Bros people would claw tooth and nail for this feature. Wished that Smash 4 would get this kind of thing. Should've just made a remake of Alpha 3, that had alot more modes and characters. Just like green Abobo from Double Dragon. "But it's got a new hat! Me! Me! Me! I wanna! I wanna! I wanna!" Glad to see Akuma is in the game! This is sounding like a really good value, which is lately uncharacteristic of Crapcom. Seemingly much better than their low-effort, one-size-fits-all NES Mega Man collection from last year, at least. Well, then now we have a GOTY contender.! @Gauchorino are you joking, right? Nah anything over £20 is a Rip off. Plus you need the pro controller to play it enjoyably as no d pad on them joycons. This game is gonna be a ghost town online. Nobody is paying full price for a 7 year old PS3/360 game. Hulk come to anyone else's mind? @Metroplex360 third strike pisses all over SFII. This looks great and all but I need to test the Pro Controller to see if it's worth a purchase. 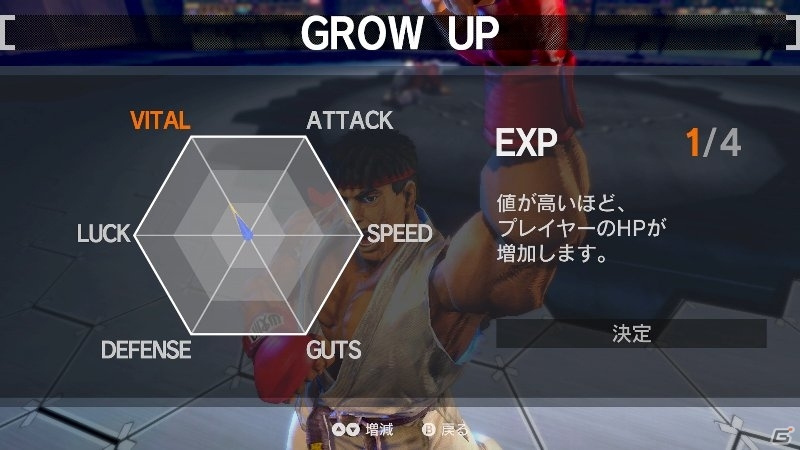 Capcom, take it easy there, you'll burn yourself out. Your effort is phenomenal. Palette swapping characters, awful first person mode. They're really going all out on this game, the price tag of €60 will be completely worth it despite it being a couple of generations old port that's only a few dollars elsewhere. 1 game announced from them, not even ready for launch. A 2D game that's 20+ years old. No. 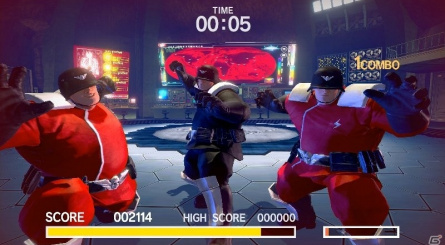 Who needs SFIV when we can regress instead? Wow! Just wow. ooh palette swaps! Always fun for a giggle and to make your online character unique. I customize WAY too much in VF. @arnoldlayne83 New gameplay modes (the "Way of the Hado", in particular) are always better than cookie-cutter reissues. 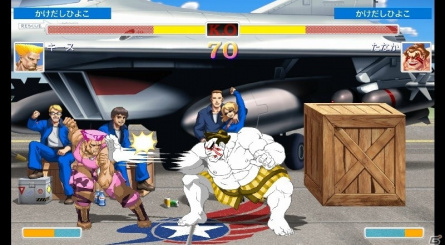 Granted, still very lazy and outrageous of them to sell yet another very minor update of SF2 for $40, but it's just impressive that they bothered to add anything at all, knowing Capcom. I'm a massive street fighter fan, and 4 was probably my most-played game of the last gen, but none of the above features sound like they make this much more than a polished version of the psn downloadable title you can get for a fiver. Really like that sound of this, but still way too expensive for me, personally. 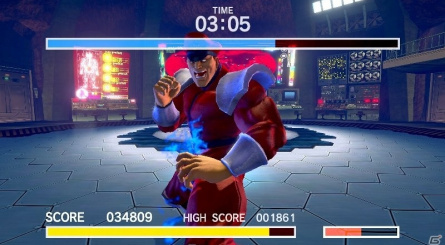 Oh, so this feature makes Evil Ryu and Violent Ken totally pointless! They were just palette swaps to begin with! Seriously guys, you're milking this thing to death. 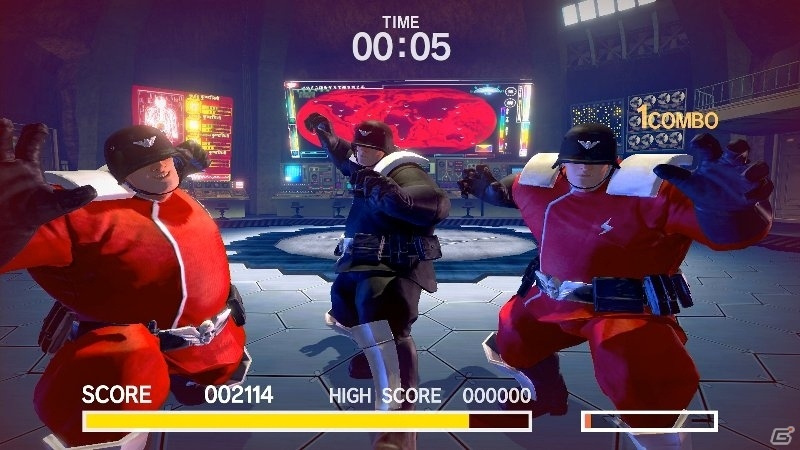 Well, that's suprising, Capcom used to sell palette swaps as DLC in some games if I remember correctly, the fact this time around it's all in the basic package and with an edit mode it's great. Still no date, and if this will be retail outside of Japan. That's the info I'm looking forward to. Heck yes! He looks like the Hulk! Ryu has always been my go to fighter. So cool, hope this gets released soon! I wanna make Vaporwave Chun-Li. After watching capcoms video of the first person mode, I'm not sure why anyone would buy this. Color edit mode huh, that's a promise mode that was suppose to be in the GBA version of the game, it's too bad it never happen as its addition in Guilty Gear X: Advance Edition was awesome. At this time and age though, it's a second thought extra with nothing exciting to offer. At least unlike Capcom's past effort, this will be a free in-game content and not a $20 DLC. Just what I've always, wanted...? Cool nonetheless. Getting it. How it's possible that we're getting SFII again? I remember playing 20 years ago with my friend at middle of the night and now at 2017 we're getting again! Eh, it's kinda cool. Certainly not against options like this. 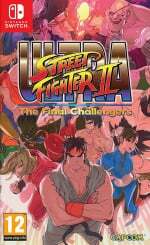 Looking to be the most indepth version of SF2 to date! @Azikira Evil Ryu and Violent Kent aren't palette swaps - they do actually behave differently to the main characters. Evil Ryu has more in common with Akuma than Ryu. I want to change the color of certain attacks, green or black hadouken's anyone? Honestly, rightly or wrongly, I'd be all over this IF a good d-pad wasn't such a necessity. Buying a Pro pad AND this game would run you near enough £100. I mean, really? @G-Boy Don't forget the gold hair. A color edit feature instead of overpriced color scheme packs ? That's a bold move Capcom Be careful that you wont become consumer friendly again ! Big whoop. SNK gave us this feature way back in KOF '99. 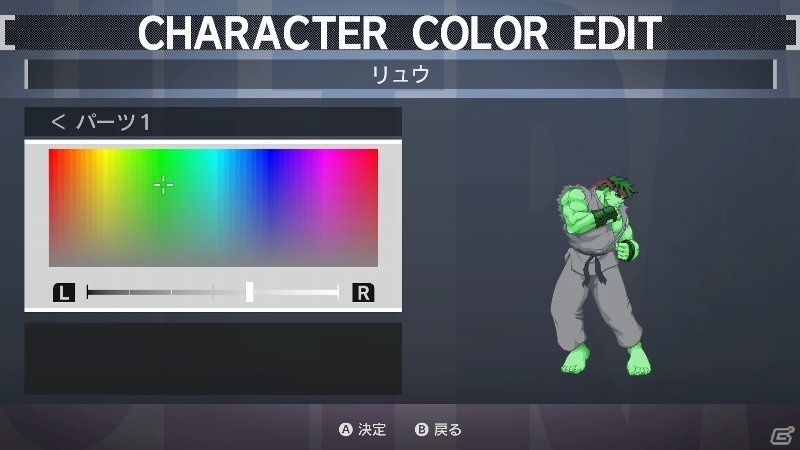 Capcom releases HULK Ryu by just changing the color of the skin and clothing and acts like it's an amazing new feature. Super street fighter ultra magnum confetti donought remix! I'll grab it depending on price, making it the one title I have repurchased THE MOST in my entire life. Better than SFV. I actually deleted that game from my PS4 because it sucked so bad. I love fighting games too. Looking forward to SFII on Switch, even if it is overpriced. Im super hyped for this game, the add ons are weak, but thats not what i want it for. At least that feature isn't DLC. I love the look of this. It should probably cost about £15. 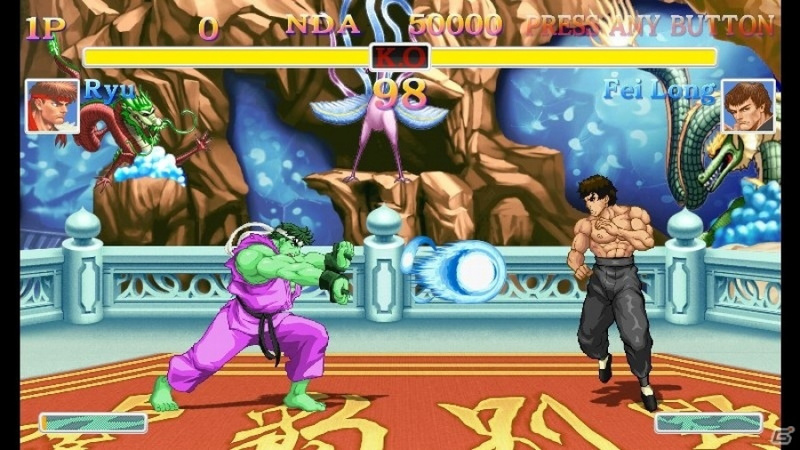 And the endless Switch mockery that is Ultra Street Fighter II continues. No wonder Yoshinori Ono once said trolling the SF fans is part of his job. @Frank90 Yes, why are Nintendo fans getting a new version of an update (that was only previously available on PS3 and XBOX 360) for the 30th anniversary of the series? Or did I just answer my own question?